The time has come again for us to be a part of our future…for you to be a part of your future. The International Code Council released the proposed changes to the 2012 International Residential Code (IRC) on March 11th. The ideas contained in these proposals come from professionals and non-professionals from all corners of the construction industry and from all over the nation and result in the 2015 IRC. Now is the time for the decking industry to review these ideas and see how they affect our industry, both positive and negative. In only a handful of weeks, I will be in Dallas at the ICC Committee action hearings representing NADRA to speak in opposition or support for any proposals that affect our industry. The hearings run from April 20th to 31st, where over 2,000 individual proposed changes will be discussed. The decisions made from now until this Fall will be those that determine what code will be published in 2015 and what you will be working under in 2016 and beyond. NADRA needs your help reviewing these proposals to determine which ones matter to us and our opinion of them. Please follow the link found HERE to ICC’s website and choose a PDF to download and begin reviewing. Please keep us informed of your efforts and opinions in the next few weeks, as official NADRA positions on proposals need to be determined well before the hearings. We need your opinions to know our position. Now is the time, and there’s not much of it. On behalf of the NADRA leadership and membership and most certainly on behalf of myself, I look forward to working together to create our future. Code Proposal – Thumbs Up? Thumbs Down? The Fairfax Group is a group that attended a meeting a few weeks ago in Fairfax, VA to work together on deck code proposal that originated in Fairfax. Those in attendance were the AWC, NAHB, CLMA, NADRA, VBCOA, CCICC, Simpson Strong Tie and others. The group also had a conference call-in from Dr. Don Bender. The group is looking for support from organizations and associations throughout the industry for the proposed code suggestions found HERE. This started as an eleven page document. With NADRA’s involvement in this committee, and the efforts of Glenn Mathewson, NADRA’s Technical Advisor, the proposed changes now consist of the 3 pages – again, found HERE. Please provide your “Thumbs Up” or “Thumbs Down” by Wednesday, 12/19/12 at 2pm EST. The original 11 pages can be found here on the NADRA Blog, just scroll down.NADRA has until tomorrow to decide if we want to endorse this proposal with our name on it. If not, we can always continue to work on it during the hearings next year as modification can occur throughout the process. A thumbs down that comes with a reason “why” is helpful, as we can address the “why” during the hearings. Please post your feedback in this feed. Author NADRAPosted on December 18, 2012 Categories Ask NADRA, Building Codes, Business Practices, Deck Safety, Industry News, NADRA News, UncategorizedTags Code, Code Proposal, Fairfax Group, Fairfax VA, Glenn Mathewson, NADRA, NADRA CodeLeave a comment on Code Proposal – Thumbs Up? Thumbs Down? Covington, GA – November 19, 2012 – Building materials manufacturer NyloBoard, LLC, whose patented process uses recycled carpet fiber and VOC-free resins to create exceptionally strong, durable and eco-friendly products, announced it has received its Code Compliance Research Report (CCRR) 0183 from Architectural Testing, Inc. for NyloDeck®, its newest product. NyloDeck is a unique composite decking and dock material that contains no wood or PVC. 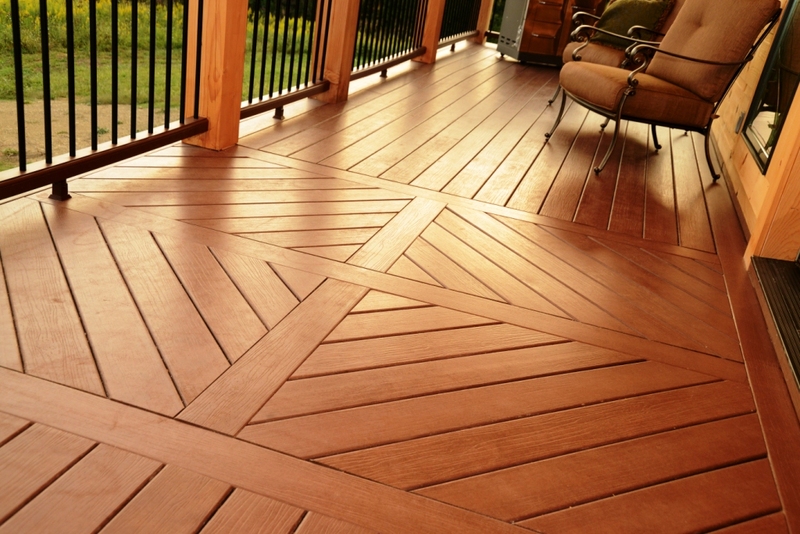 The product was recently introduced this fall at DeckExpo 2012, a national deck and railing industry event. The CCRR confirms NyloDeck’s compliance with ICC-ES™ Acceptance Criteria, AC-174 and ASTM D 7032. Receiving the CCRR demonstrates that NyloDeck has met the rigorous requirements set forth by the International Code Council (ICC), who ensures the safety and reliability of building products and provides safeguards for people at home, at school and in the workplace. The report further documents compliance with the requirements of the 2012 International Building Code (IBC), 2012 International Residential Code (IRC), and the 2010 Florida Building Code (FBC) for deck span ratings. “Successfully meeting code requirements and third-party testing validates our commitment to producing attractive, versatile NyloDeck boards that are deemed safe and will be reliable for years to come,” said Craig Jacks, vice president, Sales and Marketing at NyloBoard. NyloDeck is rated for a uniform live load of 100 lbs./psf when installed on support framing spaced at up to 24 inches on center and 200 lbs./psf on framing spaced at up to 16 inches, making it one of the strongest deck products on the market. The unique patented manufacturing process combining recycled carpet fiber with VOC-free resins has resulted in a product with superior strength and durability whose technology has been proven in the marine industry and other building applications for nearly a decade. “Most decking materials are limited to framing at 16 inches per 100 pounds, whereas NyloDeck can be used for spans up to 24 inches, which is a testament to our commitment to innovation and superior performance,” said Stuart Dimery, national product manager, NyloBoard. “NyloDeck’s proven material properties – combined with its durability and natural wood appearance – are unmatched in today’s marketplace,” added Dimery. These span ratings also allow for flexibility in design and reduced material costs as deck boards can be run at a 45° angle with 16 inch spacing, rather than 12 inches, which is the maximum for most competitors. This is particularly important when considering the replacement of an existing deck. “At NyloBoard, innovation is inherent in our culture. We continually work to advance our manufacturing technologies so that our products can look great, exceed market expectations and deliver peace of mind for both contractors and homeowners,” noted Jacks. A full copy of the CCRR 0183 is available on NyloBoard’s Web site at www.Nyloboard.com. As NyloDeck’s distribution/dealer network is being built, please direct inquiries to the sales team. Call 877-NYLO-909 (877-695-6909) or 770-385-6168 or visit online for more information. NyloDeck’s superior strength and durability allows for greater flexibility in design with deck boards spanning 16” at a 45 degree angle. NyloBoard, LLC is a manufacturer of superior building products whose patented process uses recycled carpet fiber to create exceptionally strong, durable and eco-friendly products, containing no wood or PVC. NyloBoard products help stop the waste stream of carpet fiber that currently contributes billions of pounds of non-reclaimable waste to landfills each year by using it to create products including NyloSheet® and NyloDeck®. Nyloboard also takes pride in manufacturing eco-friendly building products that are impervious to moisture, rot, termites, mold and mildew. NyloBoard‘s manufacturing facility is located in Covington, Georgia, just outside of Atlanta. Visit www.nyloboard.com for more information. The ICC Building Code Action Committee is considering a very large proposal for deck construction provisions to be included in the 2015 IRC. Anyone is invited to provide feedback, both opponent and proponent, on the proposal. The committee wishes to work on the document with the industry, prior to the hearings next year. Take a look at this proposal and see if you want these provisions to become code? Code, such that any other option is an “alternative” that has to be convinced to the building official over “just doing what the code says”. You decide, NADRA. What are your opinions about this? There are some helpful provisions…and some…others. It’s a long document…but it’s very, very serious. Code that comes out of an ICC Action Committee comes with some serious power. Get involved and help NADRA represent our industry in the code development process. We need you. NADRA is positioned as the voice of the deck, dock and railing industry. Send your input toInfo@NADRA.org. Protect the inside and outside of your home before a hurricane comes! Bring in all planters and any loose items – Any loose item left on or even under your deck will turn into a missile in the midst of hurricane force winds. You might be tempted to tie down certain items, but we caution against this since it is a temporary solution that most times won’t stand up to the 75+ MPH winds of a hurricane. Dunk your patio furniture – A tip that most Floridians know is that a secure place to store patio furniture is in the pool. That’s right. Carefully place your metal or plastic patio furniture inside your pool and you won’t have to worry about it being swept away or damaged. If your outdoor furniture has a glass top, or if you don’t have a pool, bring it inside. Secure any loose boards or railing! – If you notice any loose railing, spindles, or deck boards, secure them with the proper fasteners. The last thing you want is to undertake any preventable deck repairs. Don’t bother using nails since they offer no lasting holding power. Use stainless steel screws meant for outdoor use only. 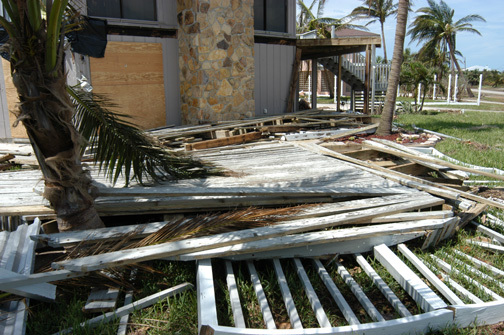 Don’t go out on your deck during the storm, ever – Remember just because you took the time to prepare your deck for a hurricane doesn’t mean that your neighbors did. Don’t go out on your deck during the storm since flying debris can inflict major damage to you and your family. The last thing you want is for someone to get injured and no way to get medical attention. If you live anywhere near the coast of Delaware, Washington DC, Maryland, New Jersey and New York, we encourage you to heed any and all warnings. Remember, even if you’re not worried about the wind, water damage, especially near the coast, storm surge is a reality. Take care and stay safe! May 15, 2012 – Quakertown, PA | in 2006 NADRA, The North American Deck and Railing Association declared May as Deck Safety Month®. NADRA’s Deck safety program is an effort to save lives and prevent injuries. After 6 years of promoting May as Deck Safety Month®, the association decided on a new method of reaching the masses this year. The new video was produced using images and text to drive a strong message to consumers about NADRA’s Check Your Deck® evaluation forms and the 10-point checklist. The video can be found on NADRA’s website at www.NADRA.org. The association posted the video to their YouTube channel found under NADRAYT and to their Social Media fan pages. The video can be used in making the consumer aware of the necessity of choosing a professional deck contractor, providing regular maintenance and inspection, and knowing the limits of the deck structure. May 15, 2012 | There’s a lot of information out there on the web about backyard safety, from those aimed at providing “parenting advice” to medical websites aimed at keeping bandages on the shelf. Another such source is the International Code Council (ICC), the publisher of our nations leading model construction codes. In the big scheme of things, decks are a small part of our built environment. With ICC providing codes and standards for large commercial complexes, like hotels and retail centers, it’s nice when our industry of backyard decks gets some attention…and not just in new code provisions. For Building Safety Month, May of every year, ICC is focusing attention on decks and outdoor living…a good sign that our industry is vibrant, growing and important to our culture. The article behind this link provides a nice call to owners and property managers that decks don’t last forever, or may have been built substandard to begin with. Too many of our fellow Americans don’t realize the need to regularly maintain and inspect their decks…and that means more than a swipe of a staining rag. They often dismiss the very real hazards that backyard decks, grills and pools inadvertently create for us. Public services messages like this, from non-profit organizations, are there for our benefit and our neighbor’s benefit. Take a read, get ideas, get inspired and share this message. Just forward the link. April 24, 2012 | Why would a deck builder be so afraid of trying a new material for his next project? Isn’t being up on the latest technology a dream come true. Perhaps, but are you taking risk in the process? Some guys I know would say yes to that. They would no sooner use a new product then throw themselves off a bridge. Some I know embrace the new stuff and love it. I have been both of those guys. With a few years under my belt and input from so many of my counterparts, my stance is that I will try a new product in a limited application until some time passes and I am reassured that it will last. What about those new nifty labor warranties? I am a huge advocate for that and it does help me to decide how much if any of a new product I will sell. But let’s dive into this a little more. Author NADRAPosted on April 25, 2012 Categories Business Practices, Deck SafetyTags 2012, Business Practices, David Elenbaum, deck safety, deck safety month, NADRA, new productsLeave a comment on What’s The Concern?